Could the video game design and development industry be an economic engine for New York state, and Upstate in particular? 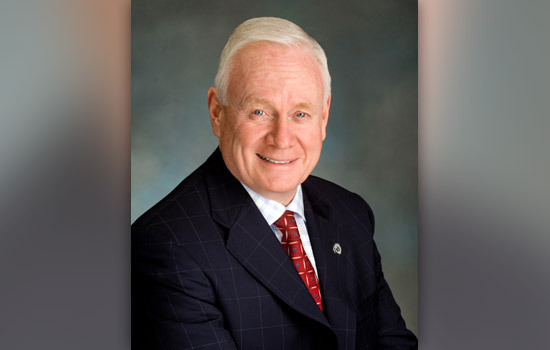 New York State Sen. Martin Golden thinks it can, which is why the Republican legislator from Brooklyn is bringing his Senate Select Committee on Science, Technology, Incubation and Entrepreneurship to Rochester Institute of Technology on Oct. 22 for a fact-finding session on how to grow the industry. Golden, who is chairman of the select committee, held a similar session in September at Polytechnic Institute of New York University. He said he chose RIT for the Upstate session because of the university’s nationally recognized game design and development programs, along with its new multidisciplinary Center for Media, Arts, Games, Interaction and Creativity (MAGIC), which will work with students to take ideas to market. Golden said the ultimate goal is creating jobs in the field. RIT, for example, graduates nearly 100 students a year with skills in game and media development, but most have to leave the area to find jobs. The roundtable, titled “Growing Computer and Video Game Development in New York,” is a session to gather comment from interactive entertainment leaders, entrepreneurs and legislators on how to attract and support an industry that accounted for $4.9 billion of the U.S. gross domestic product in 2009. The event, which is open to public, will also feature remarks from RIT President Bill Destler. “The purpose of this roundtable is to create discussion around policy and programs that will make the state of New York the center of this booming video game design and development universe,” says Golden. New York is currently fourth among the top five states in the U.S. when it comes to game industry employment, providing 5,474 direct and indirect jobs. The average compensation for an entertainment software industry employee in New York was $96,062. But employment in New York is still far below the job figures for the top four states in an industry that’s booming. According to the Entertainment Software Association, the sector’s economic potential, between 2005 and 2009—the latest year for which figures were available—the entertainment software industry’s annual growth exceeded 10 percent, compared to 2 percent growth for the entire U.S. economy. According to The Princeton Review’s “Best Schools for Gaming 2013,” RIT’s game design and development programs rank fourth at both the undergraduate and graduate levels. 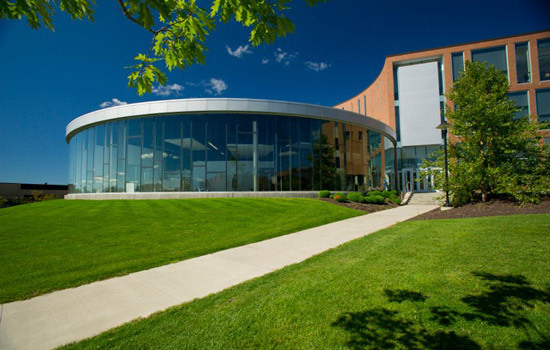 RIT’s programs are housed in the School of Interactive Games and Media within the B. Thomas Golisano College of Computing and Information Sciences. The university is also home to the RIT Center for Media, Arts, Games Interaction and Creativity (MAGIC), a nonprofit university-wide research and development laboratory and a for-profit production studio that assists in efforts to bring digital media creations up to marketplace standards and commercialization. This two-sided structure is specifically designed to bridge many of the barriers between academia and the digital media industry that hinder research and production. Scott Nicholson, an associate professor at the School of Information Studies at Syracuse University and director of the Because Play Matters game lab, will open the afternoon session with a talk about transformative games and how they can be used as a powerful tool to transform players. • Blake Gross, RIT game design and development student/Blind Horizon Studios Inc.
• Dustin Kochensparger, RIT game design and development student/Blind Horizons Studios Inc.
To watch a live stream of the roundtables, go to http://www.nysenate.gov/committee/science-technology-incubation-and-entrepreneurship. For more information and to register for the event, go to http://magic.rit.edu/news/2013/10/22/nygames/. New York State Sen. Martin Golden is bringing his Senate Select Committee on Science, Technology, Incubation and Entrepreneurship to Rochester Institute of Technology on Oct. 22 for a fact-finding session on how to grow the video game design and development industry. Scientists have been floating designs for solar sails to propel spacecraft for decades, but a new approach being developed by an RIT professor could be the key to helping spacecraft photograph the poles of the sun for the first time. Recognizing that the internet is not always secure, millions of people are turning to the Tor anonymity system as a way to browse the World Wide Web more privately. However, Tor has been found to have its own vulnerabilities. This has a team of faculty and students from RIT’s Center for Cybersecurity researching the extent of the problem and ways to address it.